Here at Word Of Mouth Online, we're all about helping consumers find great businesses, and helping great businesses stand out from the crowd. 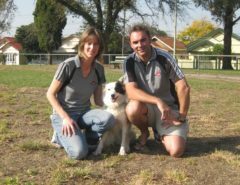 Our Happy Customers Program is a fantastic way that businesses can do exactly that. Since the relaunch of our website, the benefits of this program have expanded – so we thought it might be useful to put them all down in one place. This has always been provided, but it just got better than ever. You can now add a background image that gives your business fantastic branding and appeal. You can describe the products and/or services your business offers, and include images to present your business in the best light possible. When combined with positive customer reviews, this is the most effective type of marketing you can do. Many businesses think of this as their "brag page" – and it's a great place to direct potential customers. Once you have a few reviews, you'll find that these are extremely convincing. An example of a business listing profile is shown on the right. You can also click here, here, here or here for some more examples of profile page designs. 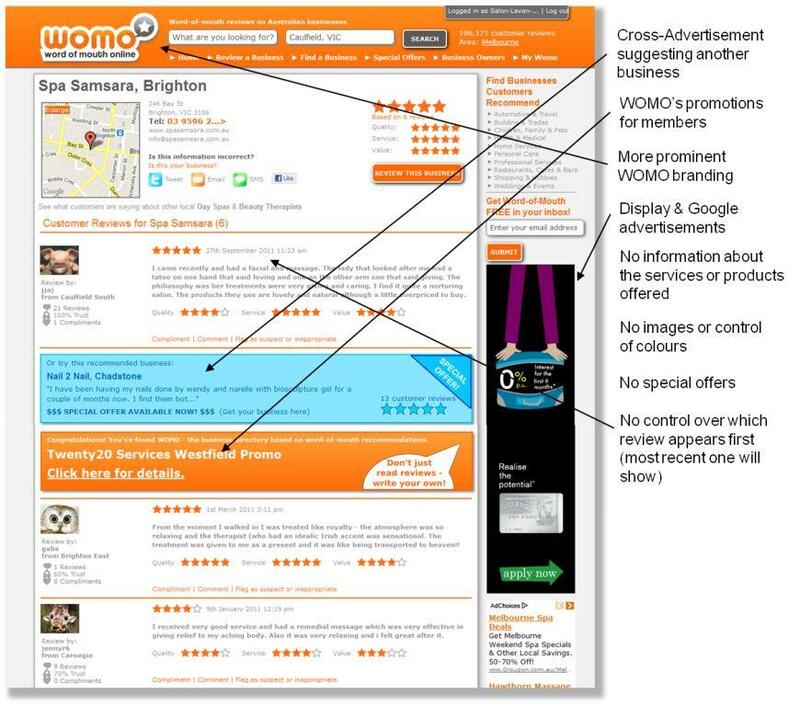 By contrast, a basic listing on WOMO looks like the image below – click for a detailed view. The most effective marketing is having your customers recommend you. But in practise, how do you really do this? 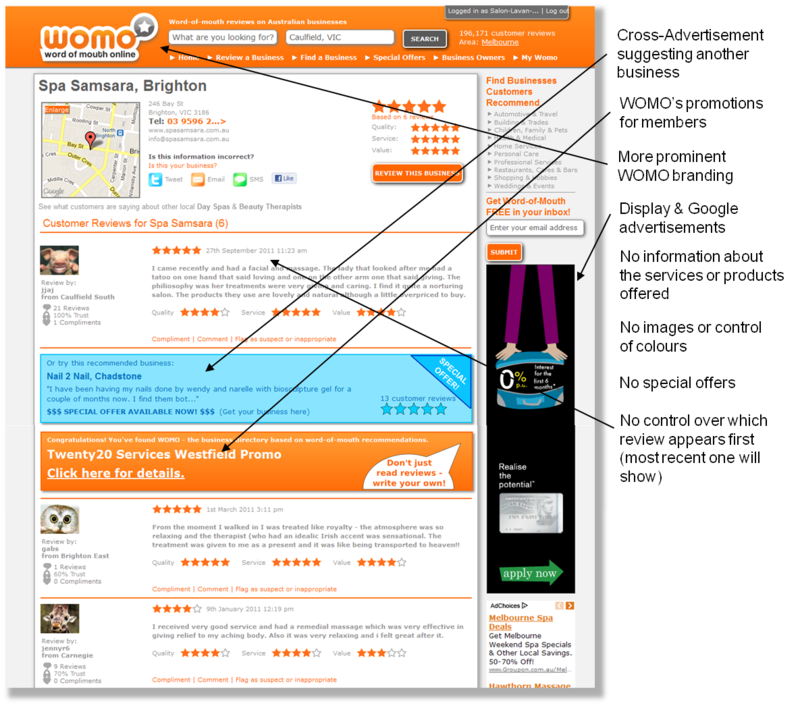 One easy way is to use the WOMO Review-Us Flyers. These have your business name on them and give your customers encouragement and simple instructions to review you online. PLUS, as an extra incentive to encourage your customers to review you, these flyers can now include a Review Promotion. This might be something your business offers – eg review us on WOMO and you'll receive a $20 voucher to use at your next visit, or go into the draw to win a $100 voucher, or get 10% off your next order. 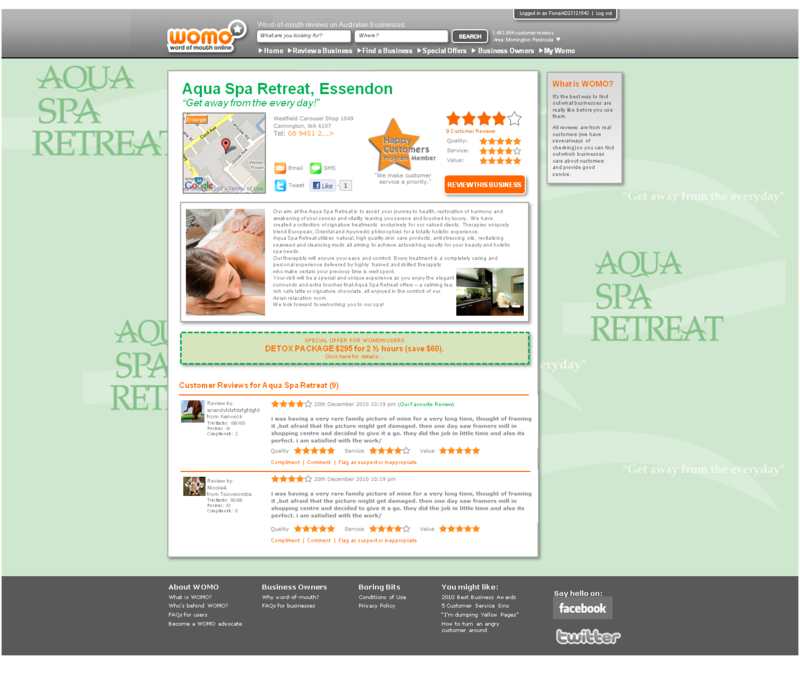 Or you can include WOMO's current promotion which also gives users a reward for entering their reviews (good or bad). Use your reviews as part of your sales process – these are much more convincing than anything you could say about the business yourself! You can include them with your quotes, proposals, brochures or display them wherever customers are considering using your business. Another great way to get more reviews is by allowing customers to enter these straight from your own website. By copying and pasting a small piece of code that you'll get, you can easily put a "Review Us" on your website. When your customers click on this button, they'll get a popup (actually an iframe) just like the one on the right here (click for to see this in more detail). Another great way to get more reviews is by allowing customers to enter these straight from your own website. 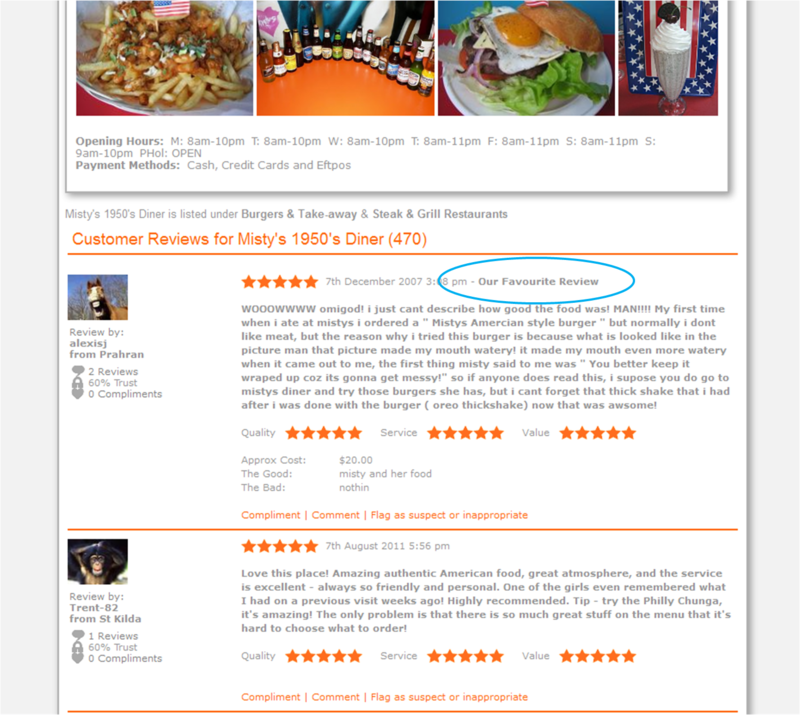 Check out the Widgete below – imagine seeing reviews for your business showing up here. 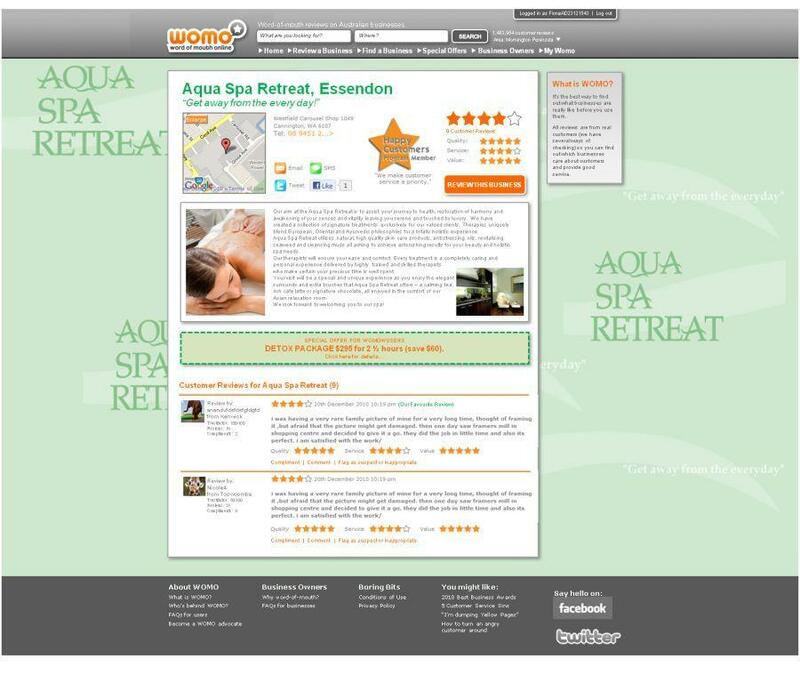 A huge benefit of being part of WOMO's Happy Customers Program is the SEO benefit you get. Reviews are SEO gold and the more you get, the more often you'll get found. Plus, when people get through to your WOMO listing after conducting a Google search, your profile and reviews provide an extremely persuasive marketing message – so conversions to customers are really high. Why do reviews work so well for SEO? Imagine a physiotherapist with a customer review that says "I hurt my shoulder playing tennis and decided to see a physio. Turns out my injury was easy to treat and only took 2 sessions. Mike was extremely gentle and I'd recommend him to anyone in the Eastern suburbs." When someone searches Google for "gentle physio for tennis injury in eastern suburbs", the professional website is unlikely to be a match but the review on WOMO is likely to be one of the top results. Lots of businesses join for this benefit alone. Note that your Favourite Review and Special Offer are also shown in this section. Don't pay steep commissions on the daily deal sites, with WOMO, you can get a Special Offer included in our Weekly Alert – it's location-targeted and highly effective. It goes to members in your service area that want to receive deals, and you can even add a new deal every month if you like! Your deals also appear on your listing and in the Special Offers section of WOMO – giving you lots more exposure. Although negative reviews on WOMO are rare (less than 7%), even the best businesses can experience problems from time to time. But if that does happen, you’ll have some protection through the Problem Resolution Process. This means that we do everything we can to help you put things right with the customers before their review get published. As an added benefit for businesses in the Happy Customers Program, you can now choose which review appears first on your listing. This is marked as your favourite review and allows you to set a great first impression with prospective customers. Click on the image to see an enlarged view of this. Once you've got some great reviews, you can let everyone know by sticking these stickers on your shop front, business premises, or even your vehicle. These are provided for businesses in the Happy Customers Program (just request them through your login). Are you a mobile business or do you have branding on your vehicle? Give prospective customers more confidence in your services by also including a WOMO Bumper Sticker. Once they check your reviews on WOMO, they'll be completely convinced to call you. To further recognise those businesses that actively seek out customer feedback and make this publically available, businesses in our Happy Customers Program can get a framed certificate. Display this in your office or shop to let everyone know that your business cares about customers. 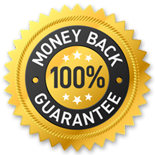 Businesses in the WOMO Happy Customers Program can also include a certification logo on your website or in your email signature. It tells everyone online that you're a business that cares a lot about customer service. 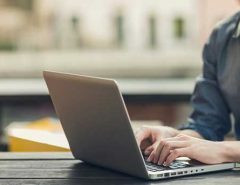 Unlike most other marketing, you'll be able to see how many people are viewing your listing, how many calls you get, and how many people click through to your website, and more. 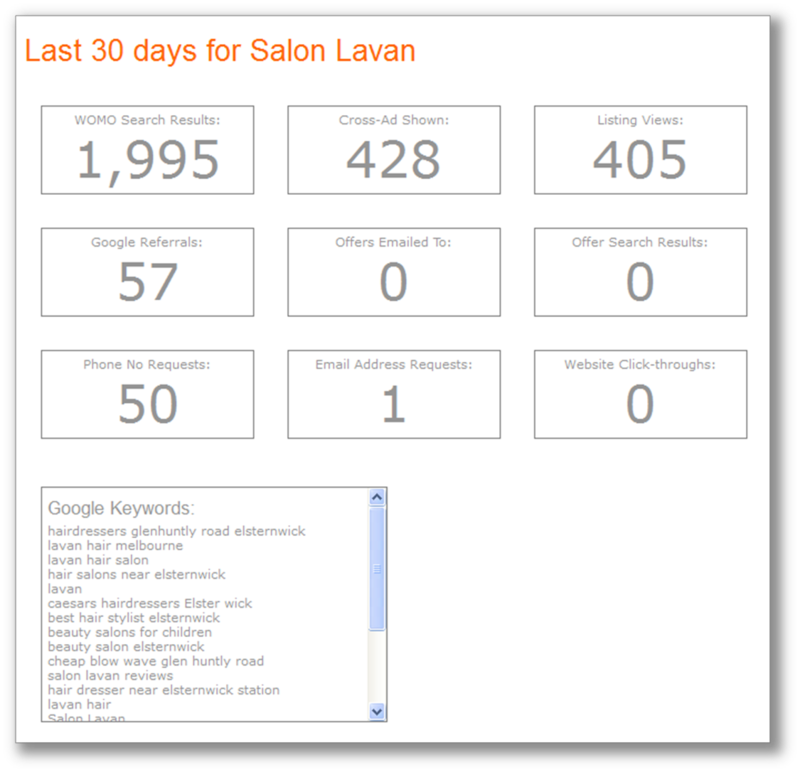 Note that you can also see the different keywords that people are finding your listing from Google. Click to see a more details view. We know this program works and we're prepared to back it. Even if nothing you've done in the past has been successful, we guarantee you won't be disappointed. Once you've been on the program for 6 months and have 10 (or more) reviews, if you're not convinced you're getting great value for money, we'll cancel your subscription and give you a full refund. You've got nothing to lose, and only new customers to gain! If your business provides good service and you're not using the Happy Customers Program, you should consider joining. It's priced for small businesses so it's normally only $590 per year, but for this month, we've decided to offer it at a hugely discounted rate to get more businesses experiencing the power of word-of-mouth. Right now, you can save $100 because it's only $490 inc GST for 12 months (just $9.42 a week). There are no set up fees, no contracts, and if it doesn't work, you get your money back*. Of if you'd prefer to pay monthly, click here to join for only $49 a month.